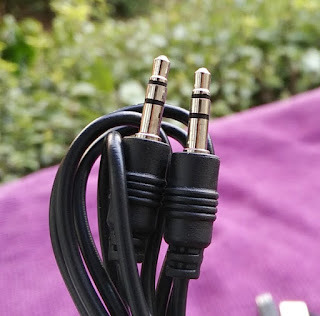 A home karaoke party shouldn't cost you an arm and a leg! 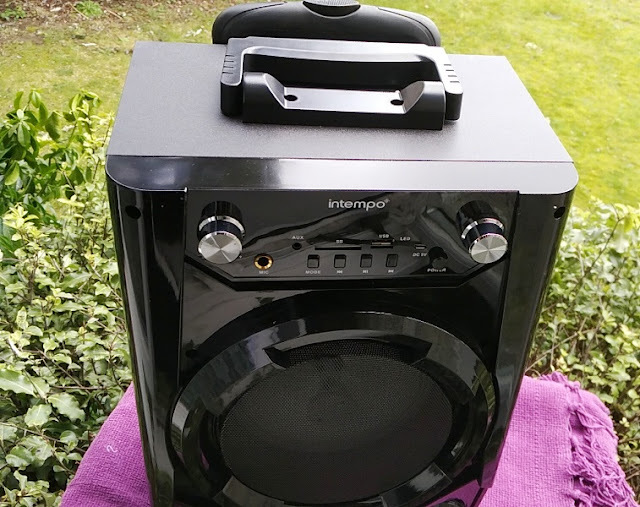 Made for Karaoke equipment tends to cost quite a bit but with affordable party speakers like the Jukebox speaker and the Intempo Tailgate all you need is a karaoke app on your smartphone and you're good to sync and sing! 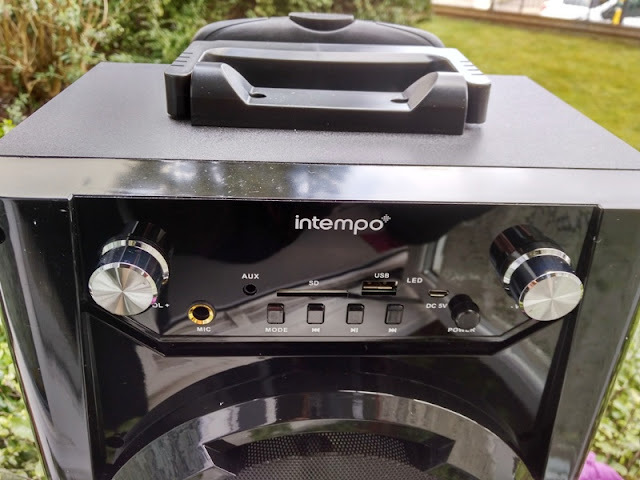 Aside from being able to use it as a karaoke machine, the Intempo Tailgate led Bluetooth speaker doubles as a budget speaker for listening to music in the sitting room. 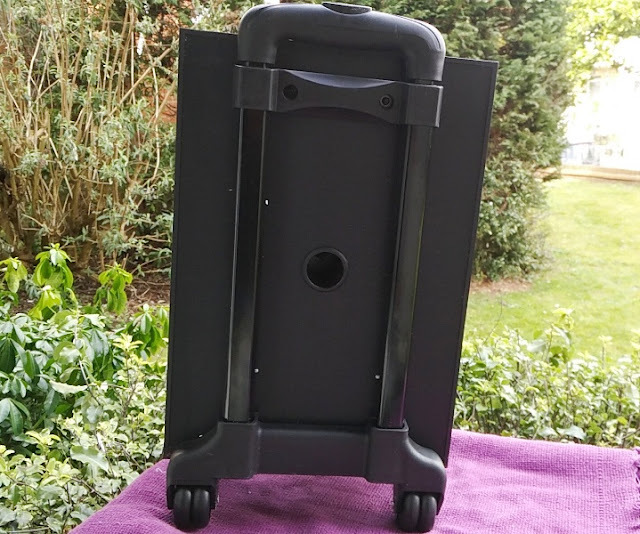 Transporting the Intempo Tailgate from room to room is made very easy thanks its designed based on a carry-on cabin luggage with wheels. 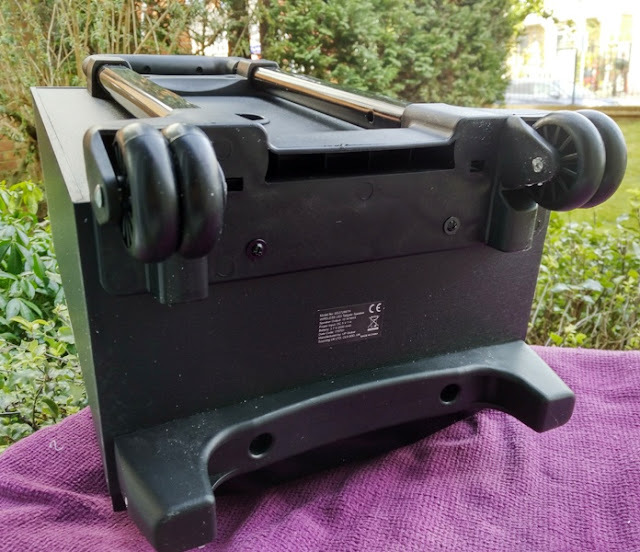 The Tailgate speaker even features a multi-stage push button locking handle that lets you adjust the handle between 1 feet and 2 feet high. 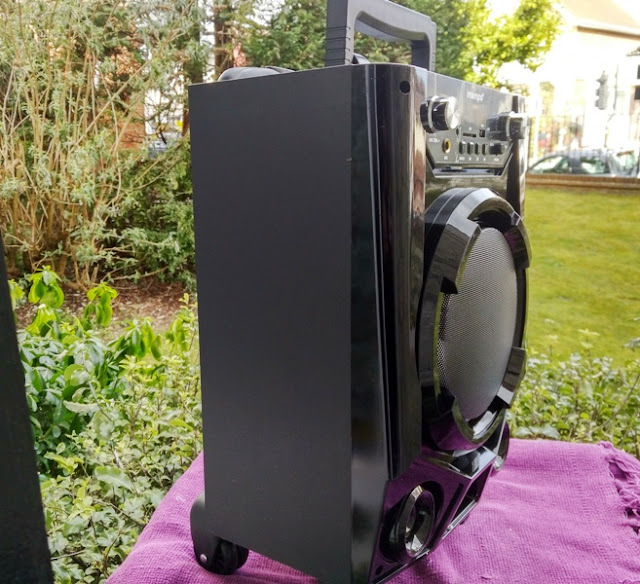 The Tailgate music speaker main unit features a large 10-watt speaker with built-in RGB led lights, and a small lcd screen that displays the current playing mode. 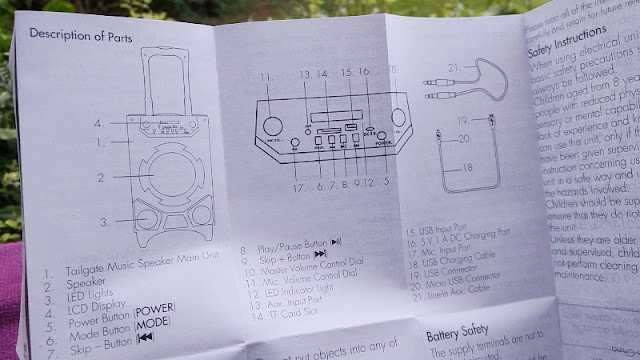 The other buttons on the Tailgate speaker include: power button, mode button, skip backwards button, skip forward button, play/pause button, speaker volume control knob, microphone volume control knob, led indicator light, auxiliary input port (3.5 mm audio socket), TF card slot, USB input port and a micro USB charging port which charges the Tailgate led speaker at 5V 1A. 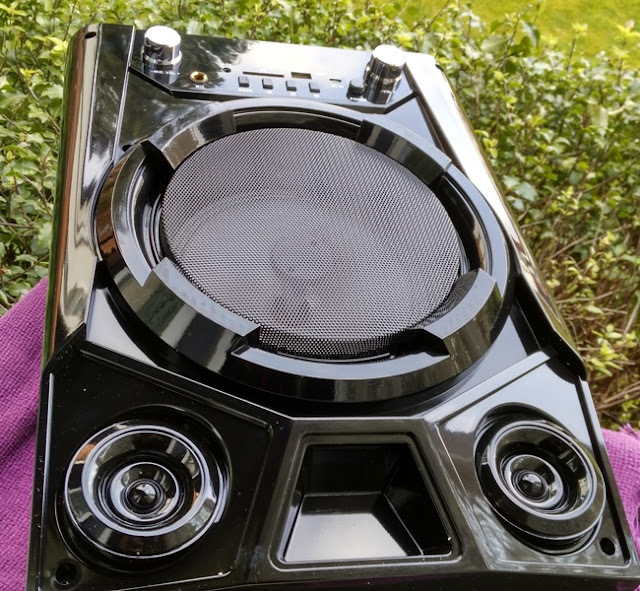 It is nice that you get dedicated buttons for all the Tailgate speaker functions, as well as a memory card slot, audio socket and USB port. 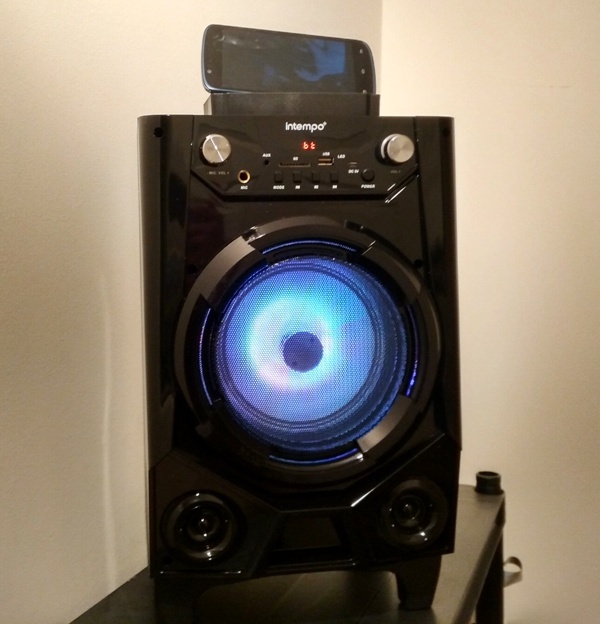 This allows you to play music multiple ways other than via bluetooth wireless. 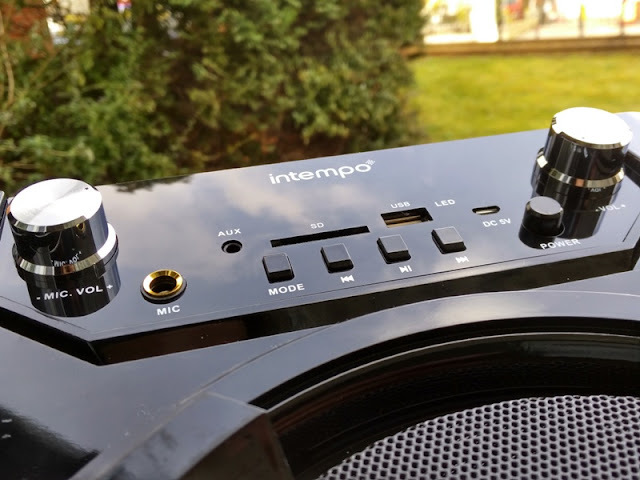 The mode button lets you toggle between the different modes: bluetooth, wired, TF and USB. 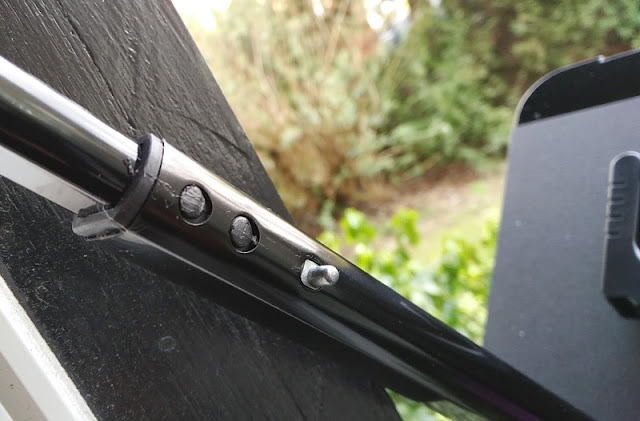 When playing music via the TF card slot, you can use both microSD or microSDHC cards as the TF card slot functions basically the same as a microSD card slot when it comes to playing content from the memory storage. With that said, TF card slots don't integrate the SDIO (Secure Digital Input Output) functionality that you get with microSD card slots which allow you to perform non-memory operations like Bluetooth and NFC. The terms TransFlash and microSD are actually confusing and that is mostly because TF (TransFlash) was renamed microSD a few years ago. 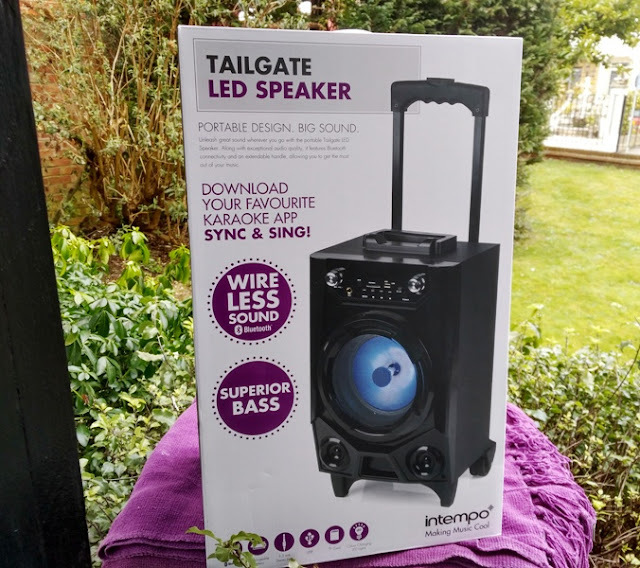 The Intempo Tailgate speaker integrates Bluetooth 2.1 + EDR which enhances the data rate over Bluetooth making the transmission faster/better than with regular Bluetooth 2.1.While the bluetooth version is only 2.1, the wireless range is still 10 meters long. 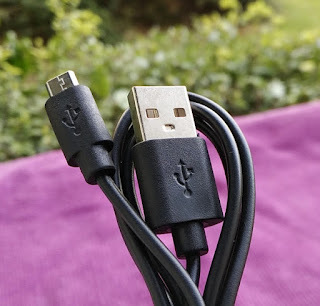 You can also have multiple Bluetooth connections at the same time and you won't have to repair the Bluetooth connection as it will connect automatically once you pair it with a device. 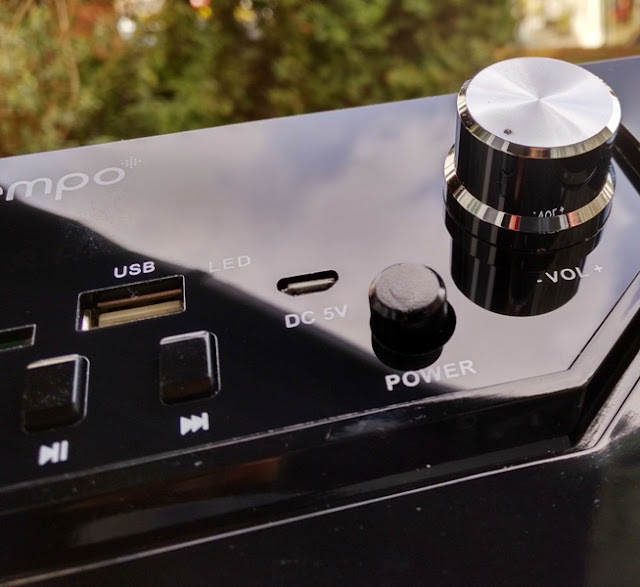 The Intempo Tailgate led speaker also integrates a 2000mAh rechargeable li-on battery which takes around 4 hours to fully charge. While charging the led indicator shows solid red and then turns off when full charge is complete. 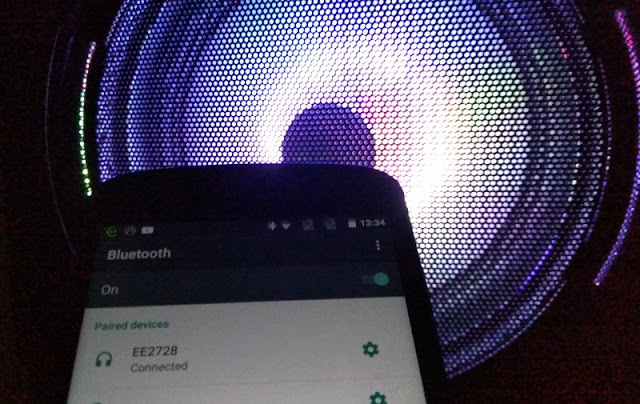 Battery life depends mostly on how loud the volume is turned up. 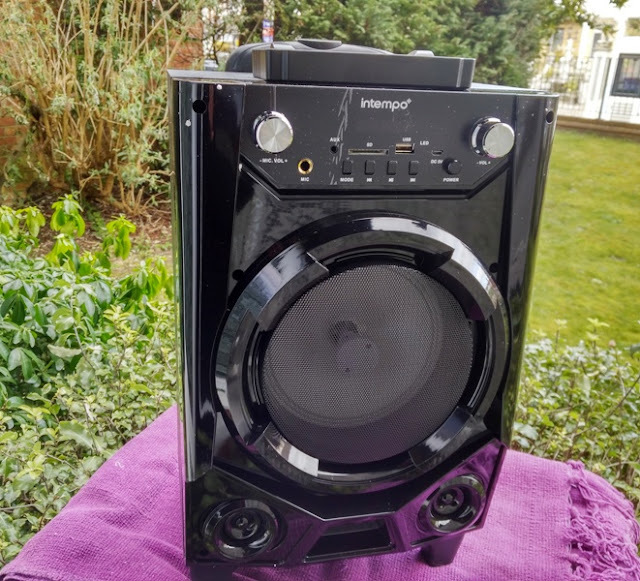 You can get between four and six hours on medium/high volume. 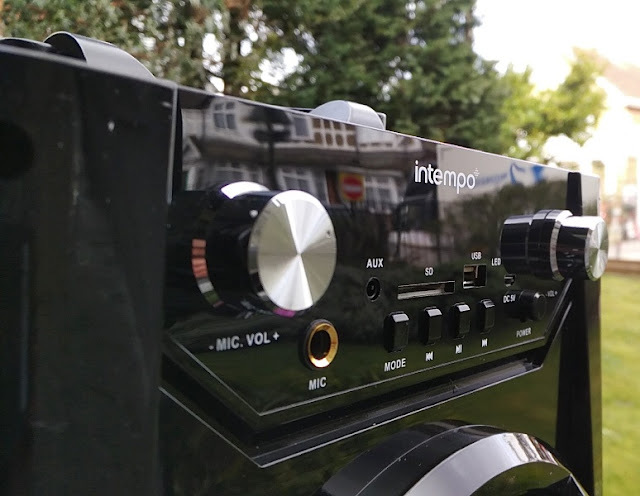 When using the Intempo Tailgate led speaker in loudspeaker mode, you want to have the microphone at least a good meter away to avoid microphone feedback sound distortion specially if you turn the microphone volume up all the way! 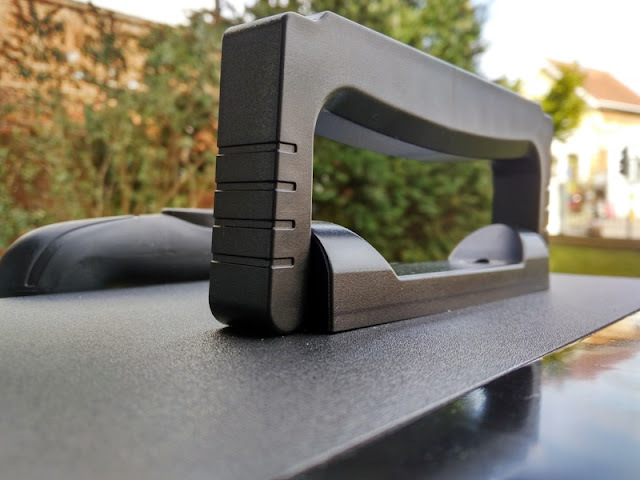 As far as sound quality, the Tailgate speakers sounds very clear with a decent amount of bass that doesn't overpower nor muffle the treble frequencies. 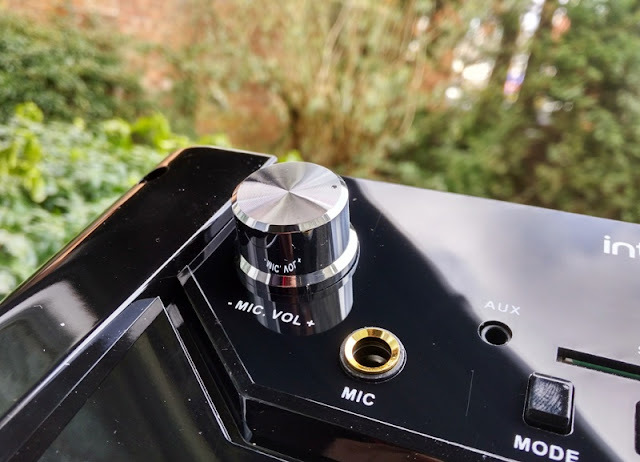 The volume can be turned up high to a decent level too, which is nice.